My classes have begun! It has been many years since I have studied anything this intensely. It has been about 14 years since I was in college, so getting back into the habit is a challenge. This being a subject that is new to me, it is requiring a great deal of concentration on my part to keep the knowledge in my brain and then spill it back out onto exams and assignments. It is important to keep my concentration high, and having a growling stomach definitely distracts me from that. Hunger is bad for the brain, so having some snacks during study time is my way of keeping my mind on track. This Homemade Beef Jerky is a great treat for my bookworm time. It is seasoned with a savory dry rub, which has wonderful flavor. The texture is slightly chewy, as you would expect in a jerky, but not brittle or hard enough to wear out your jaw while you eat it. I don’t usually get to enjoy jerky, unless I make it myself. That pesky black pepper allergy keeps me from eating most commercial versions and many of other’s homemade ones. I found this version online, and like most recipes I find, altered it to suit my tolerance. Most people who have tried it don’t miss that black pepper flavor, as it is suitably spicy from the substitution of a small amount of cayenne. 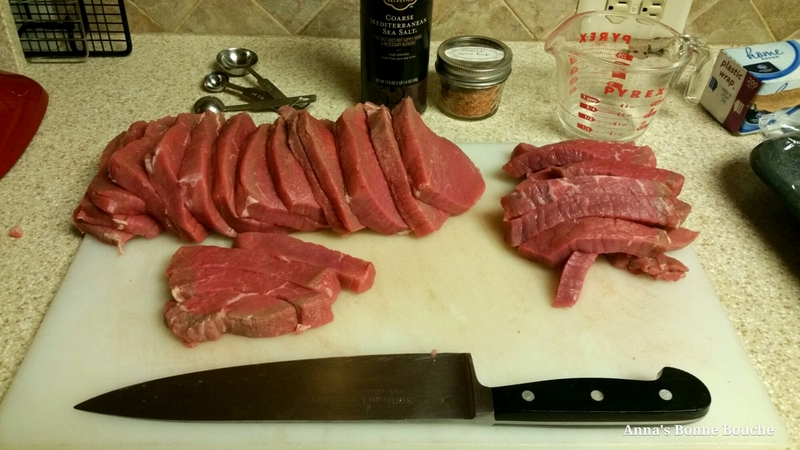 One note.of importance is that the most lean cuts of beef (or venison, if you prefer) are used. Fatty meat just makes the jerky oily, overly chewy, go rancid quickly, and it doesn’t really absorb that savory rub that makes this jerky so tasty. 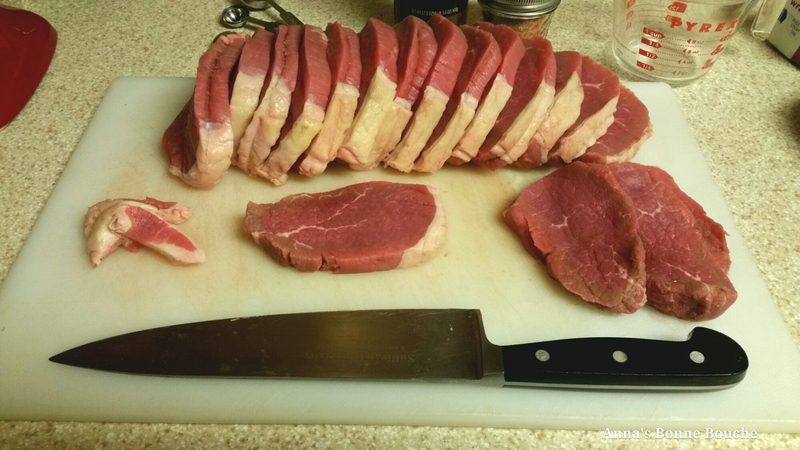 I try and buy sirloin steaks or other lean roasts when they are on sale for this recipe. You may use fatter cuts, but you must make sure they are well trimmed before you season them. 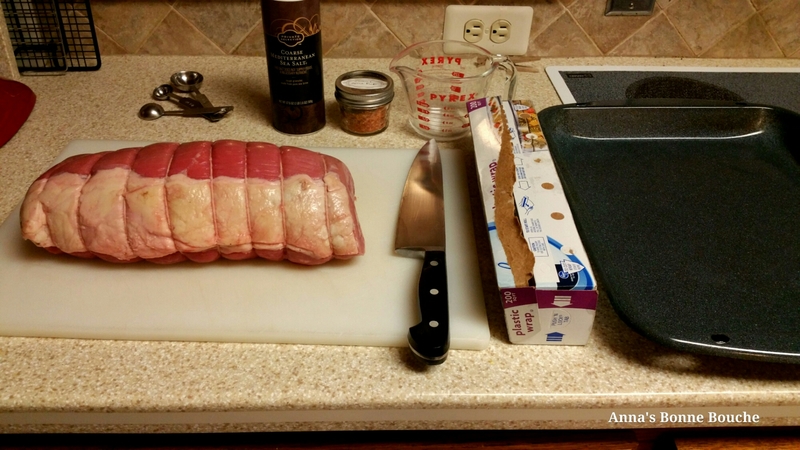 I used a beef eye of round roast for this particular recipe. You will also need a sharp knife, cutting surface, plastic wrap and a shallow pan for these steps in the process. I then sliced those trimmed pieces so they became 1/2 inch thick and 1 inch wide. Mix up your dry rub. 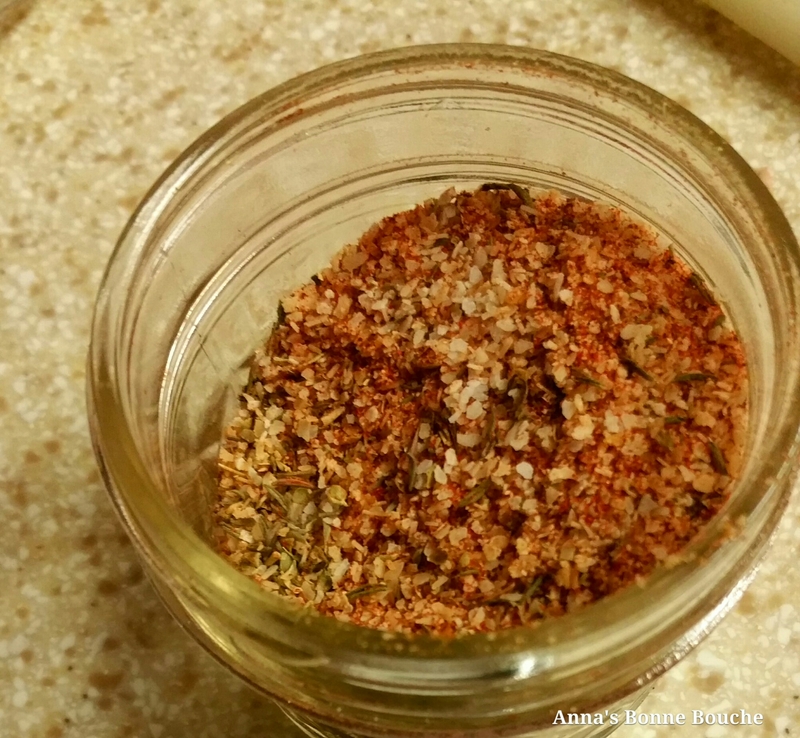 Your dry Rub seasoning can be stored in a little, airtight jar for later use. It will make enough for about 3 batches of jerky. 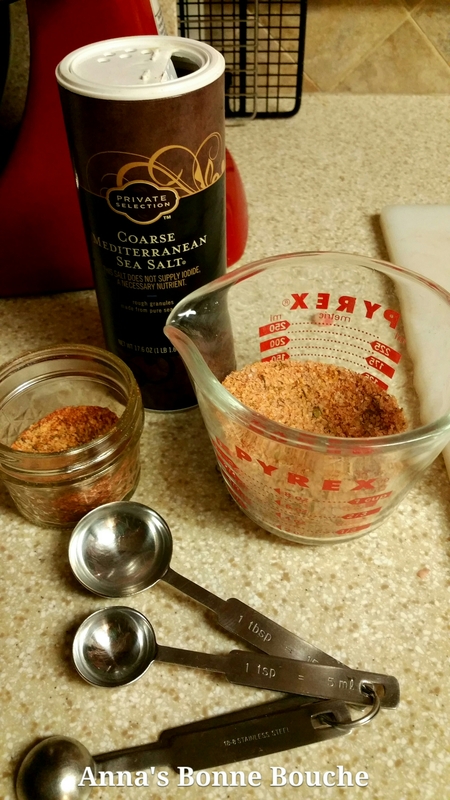 Mix your Dry Rub Seasoning with the sea salt in a container that makes it easy to sprinkle evenly over your meat pieces. 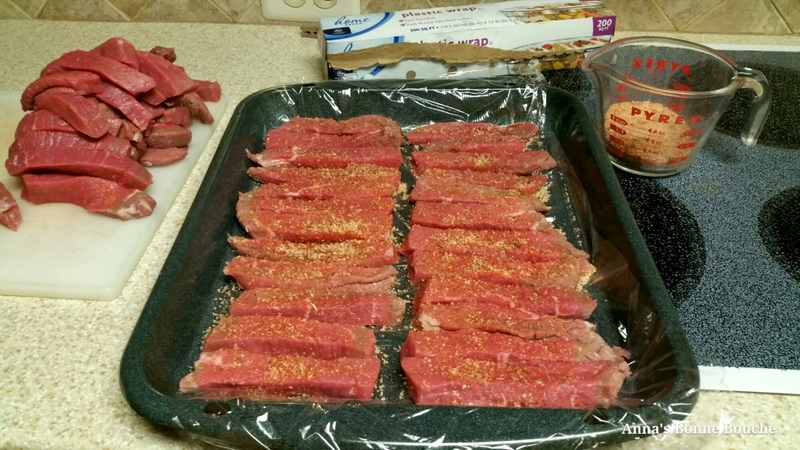 Lay your meat slices in your pan over plastic wrap in a single layer. Sprinkle with seasoning, flip over and season again on the other side. Layer plastic over seasoned slices, and repeat until all your meat is seasoned. Wrap the seasoned pieces well, and then refrigerate 12 hours. 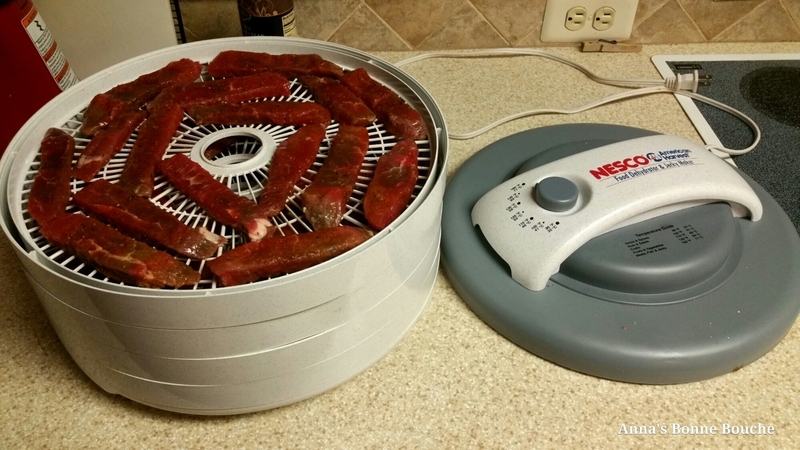 Place the meat slices evenly on your dehydrator racks. You want enough room between the slices that the air can circulate well. 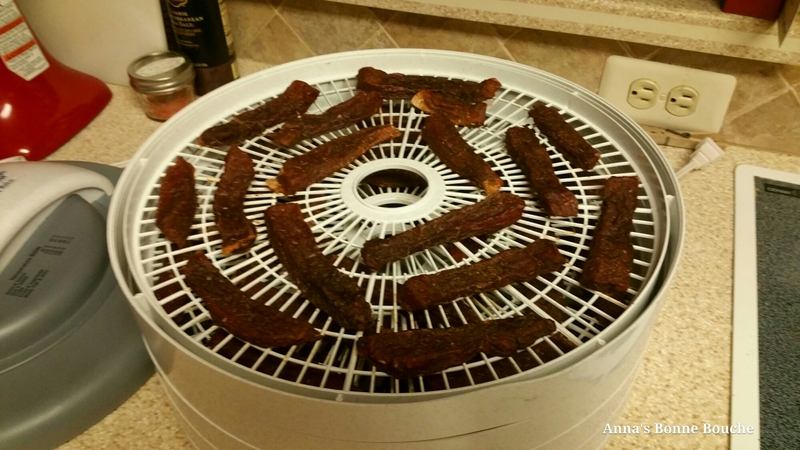 Follow factory instructions of your dehydrator for meat. 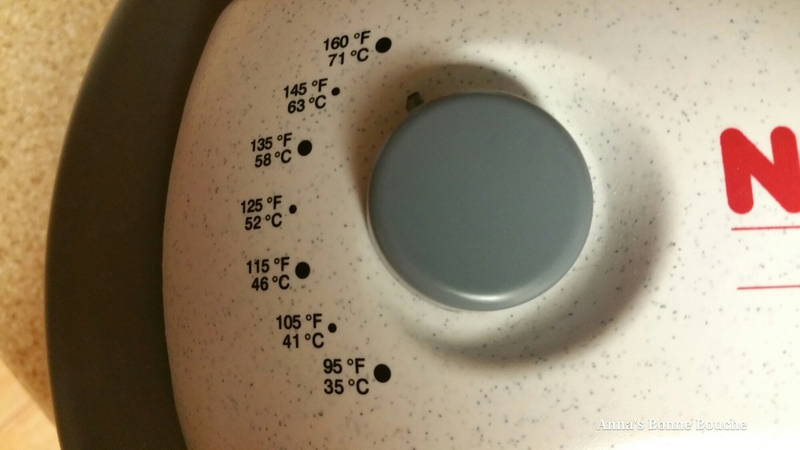 Mine was set to 160°F. Allow to dry for 6-8 hours, or until pieces are dried uniformly. Dried pieces will be dark in color and have very little “squish” factor. 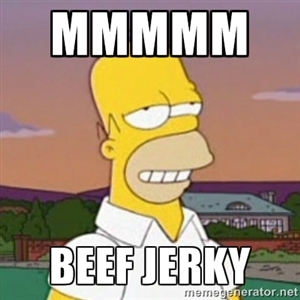 I check my jerky after the first five or six hours to remove the smaller dried pieces, so that they do not become hard and brittle. Once done, these delicious beef snacks should be stored in airtight containers. I keep mine in the refigerator for long term storage, though I have never had a batch spoil at room temperature. I hope you enjoy this savory snack as much as I do. Now it’s time for me to grab a handful of jerky and to hit the books again! All about food, my family, learning and living my life the best way I can. 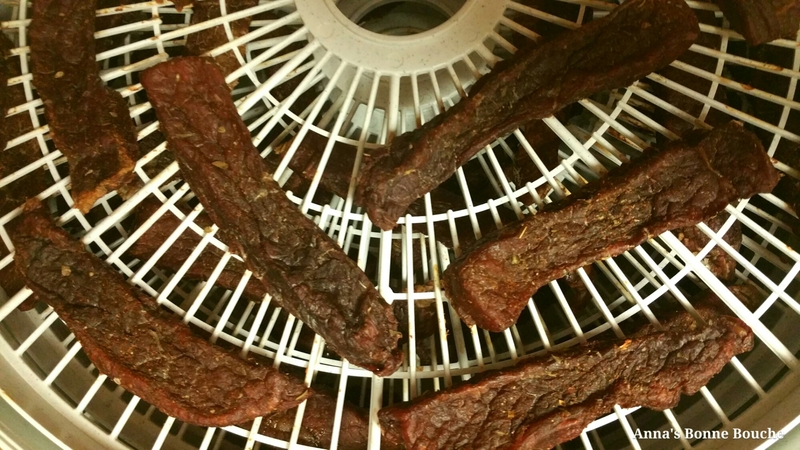 The jerky looks fantastic, and the recipe looks so simple! I will definitely have to try this. Though I am very much regretting younger, naive me not even realizing that dehydrators could come with/need temperature controls. Mine just has one setting! You can make this in your oven also. 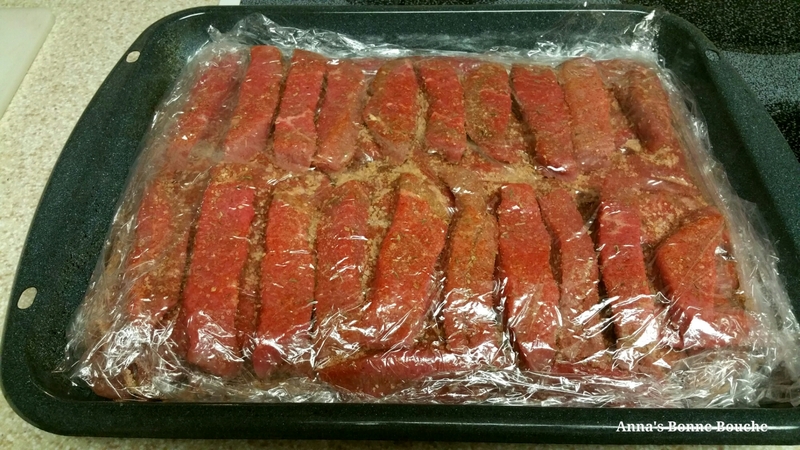 Put jerky meat on baking sheets, bake at 200°F for about 4-5 hours.